Now that Stephen Colbert’s heading to late night, something has to replace the Colbert Bump as the satirical launching pad of choice for individuals and organizations in need of a boost. 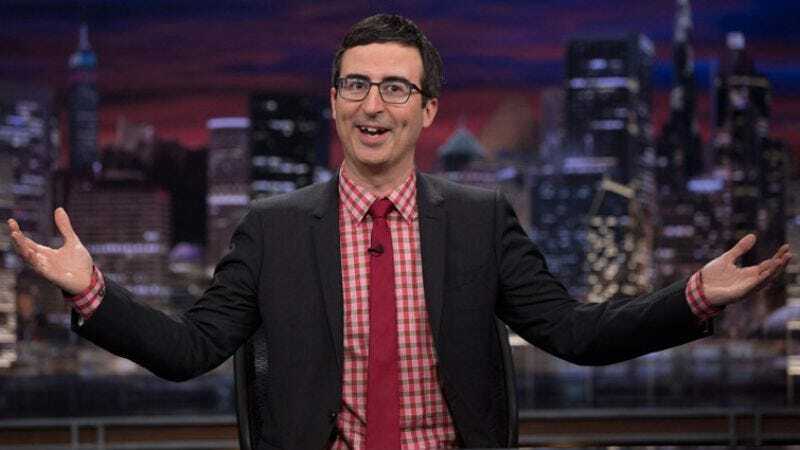 The “John Oliver Bounce,” so dubbed by the head of a Chicago-based women’s trade organization, is a strong contender: According to The Chicago Tribune, donations to the Society Of Women Engineers have soared after Oliver name-checked the organization in a segment. Sunday’s episode of Last Week Tonight With John Oliver featured one of Oliver’s signature long-form takedowns, this one directed at Miss America’s claim that it is “the world’s largest provider of scholarships for women.” During the segment, Last Week Tonight flashed the names of a handful of women’s scholarship funds that don’t require candidates to parade around in bikinis on screen. Chicago’s Society Of Women Engineers was on that list, and SWE spokeswoman Kelly Janowski says the group has received $25,000—15 percent of the individual donations they receive in an average year—in the three days since the episode aired. Janowski also says that traffic to the SWE website has doubled in the past week, and its social media numbers have increased 20 times over. But the John Oliver Bounce (presumably) doesn’t last forever, so it wouldn’t hurt if The A.V. Club’s readers helped provide for some budding young engineers’ futures as well.